If you’re just starting to investigate the process of moving to Australia, you’re probably just as overwhelmed as I was at the number of hoops you need to jump through in order to get here. From medical tests, English exams, and skills assessments, it’s really not the simplest process at all. 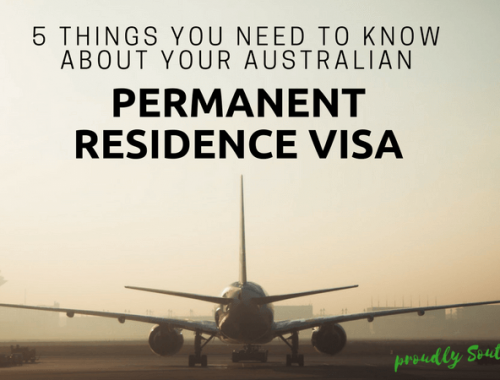 What’s worse is that, depending on what skills you have and what specific visa you’re applying for, the criteria and supporting documents required can be totally different from one person to the next. 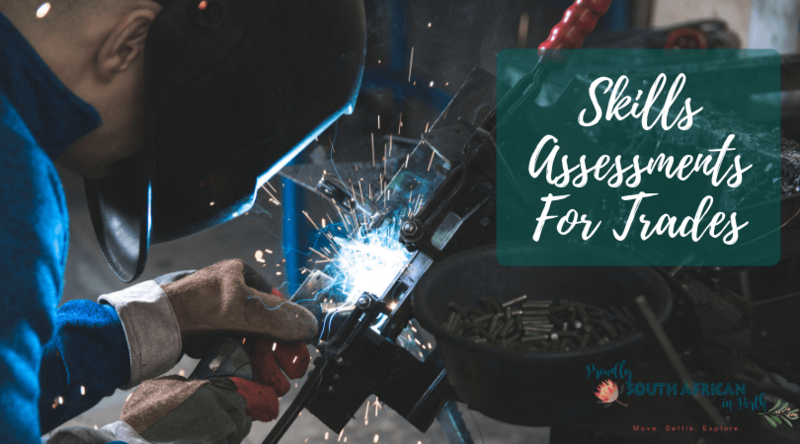 In order to help you understand more about the skills assessment process, I’ve partnered with Australian Construction Training Services (ACTS) and will be bringing a series of blogs out which should help you get your head around it. 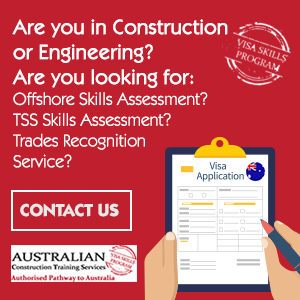 This one is all about how to get an Australian skilled visa assessment for trades. 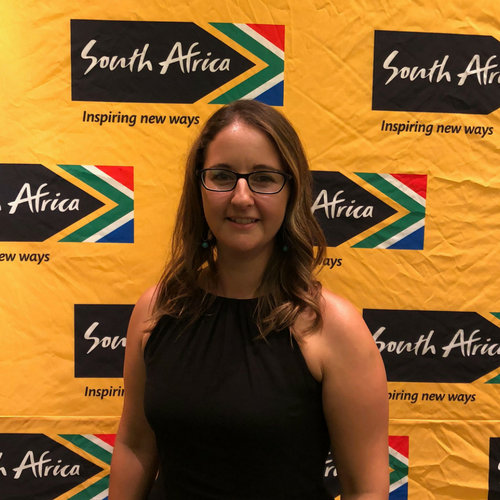 So many South Africans (and other nationalities) move to Australia on the back of their trade. From electricians and plumbers to bricklayers, welders, and fitters, trades are skills that are often found on the skilled occupation lists (these are always subject to change though so keep an eye on the list of skilled occupations currently being accepted). However, saying you have the skills and proving to the Australian government that you actually have the skills are two very different things. Anyone can say that they are a bricklayer, but you have to be able to prove it. This is where skills assessments come in. Who Does The Skills Assessments? The Australian government requires people applying for most skilled visas to undergo a skills assessment to prove they can do what they say they can. Different bodies perform these assessments, depending on what occupation you have. For example, if you’re a nurse, you’ll probably be assessed by ANMAC (Australian Nursing and Midwifery Accreditation Council). When we applied, my husband’s skill was on the list (he’s an estimator/quantity surveyor) and we used VETASSESS (Vocational Education and Training Assessment Services) for his skills assessment. If you’ve got a trade, you’ll probably be assessed by the TRA – Trades Recognition Australia. Because they have so many trades that fall under them, the TRA outsources assessments to other companies who specialise in particular trades. Australian Construction Training Services (ACTS) are one of the authorised Australian Registered Training Organisations that can undertake your skills assessment. They commonly deal with visa applications for 482, 186, 189 and 190. They cannot give advice on which visa application is suitable for you (and neither can I!) though. You can see a full list of the assessing authorities here. The skills assessment process has two parts, the Documentary Assessment, and Technical Interview. In the Documentary Assessment, the candidate is required to provide verifiable evidence of employment history in the nominated trade. Candidates who hold a national trade qualification are required to prove at least 4 years fulltime employment in the trade (5 years fulltime employment if no trade qualification is held) and be able to prove at least 12 of the last 36 months fulltime in the nominated trade. Once the Documentary Assessment is successfully completed a Technical Interview with a Qualified Trade Assessor is scheduled. The Technical Interview is a face to face competency discussion which covers the units of competency for the AQF Certificate III in the nominated trade. On the rare occasion where the Technical Interview does not provide the Trade Assessor with sufficient information, a practical demonstration of skills may be requested. From receipt of a decision-ready Application, ACTS usually takes less than 6 weeks for completion and issuance of the candidate’s AQF Cert III qualification and the Successful Letter of Outcome required for submission for an Australian visa application. Some other RTO’s can take twice as long to complete a skills assessment, so 6 weeks is pretty speedy! How Do I Know Which Skills Assessment Is Right For Me? Part of the service that ACTS provides is a free pre-assessment prior to accepting any payment. They will ask you to provide a detailed resume of your time in the trade, or related trades, and send you a self-assessment questionnaire to complete. From these documents they can usually gauge whether your skills assessment will be successful. They want to ensure that you are given every chance to obtain a successful skills assessment. If you are unable to provide sufficient documentary evidence, they will not start the process. This is in stark contrast with many other RTO’s who often will request payment on application. How Long Is My Skills Assessment Valid For? All trades assessed by ACTS are valid for 3 years. Skills assessments from other bodies may be valid for up to 3 years, or to the date specified on the assessment, should there be one noted. 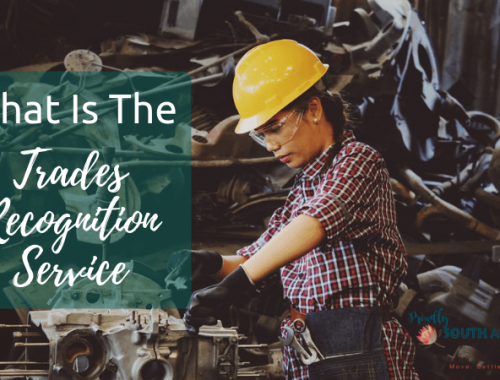 Hopefully, that’s helped explain the skills assessment process a bit more, especially around how to get an Australian skilled visa assessment for trades and given you some further reading depending on what your skills are. If you’re one of the trades listed above, ACTS can help you when you get to the skills assessment stage of your visa application. As they provide a free pre-assessment, it’s definitely worth contacting them to see what they have to say about your current experience, training and practical skills. The road to Australia is often long, hard and, let’s face it, expensive. Getting some input on whether your skills assessment is likely to be granted, before you hand over your hard-earned rands, is invaluable. ACTS have helped many South Africans with a positive skills assessment and would love to help you with yours. Please note this blog does not constitute migration advice. For a referral to a registered migration agent who can assess your eligibility for a pathway to Australia, please get in touch with me.